We want to THANK YOU one more time! We crossed the 100 backer mark. You’re awesome!We are confident that with your help and support we’ll make it to our goal and Jack will be ready to fight the good fight against the Ashajuls! Remember to keep spreading the word, talk to anyone, post it on twitter and Facebook. In summary, proudly display that you’re a member of the Dimension Drive crew! Finally, if you have any comment regarding the campaign or the game please share it with us. We love comments and feedback! Our second day on Kickstarter is finished and we crossed thanks to you the 4K barrier we’re slowly inching closer to our goal, but we still need a lot of help. So please keep spreading the word and don’t hesitate to recommend us what to do to improve our chances of success! THANKS TO YOU ALL !!!! We are overwhelmed that we have already reached more than 10% in less than 24h. 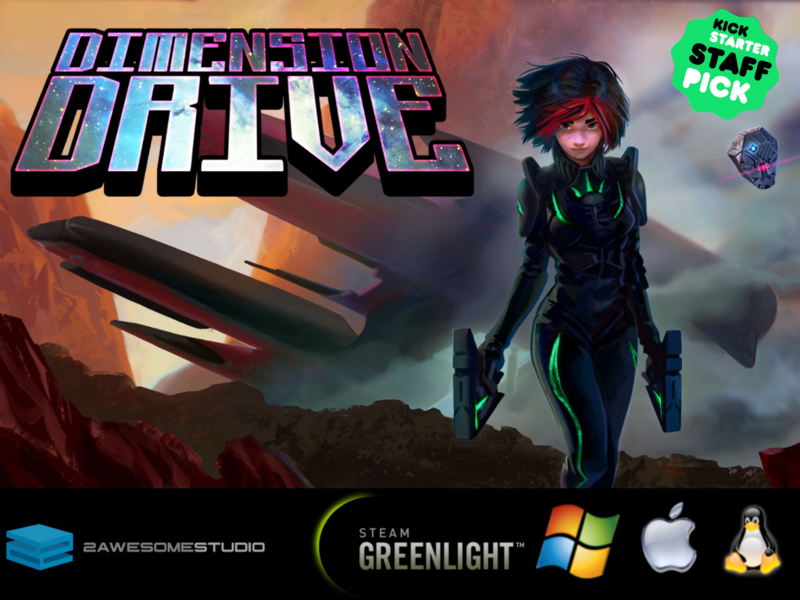 You folks are amazing, thanks to all our early backers for believing in Dimension Drive !!! In less than 24h and we have been already selected as staff pick from the kickstarter folks !!! We have been mainly working on adding as much as we can to the game: improved effects for bullet impacts, explosions with distortion effects, banking of enemies, switches and doors, boss fight, extra comic-book cut-scenes (just look how awesome The Manticore looks! ), and finally the menu is now so nice you may even like to stay there (we hope you eventually hit “Play” ). Also, the amazing Katrina from Indie Game Magazine did an interview where we discuss about spaceships, Aliens (as in the movies) and the relation to Jack. Check it out over here. As usual, if you have any comment or question for any of us let us know! 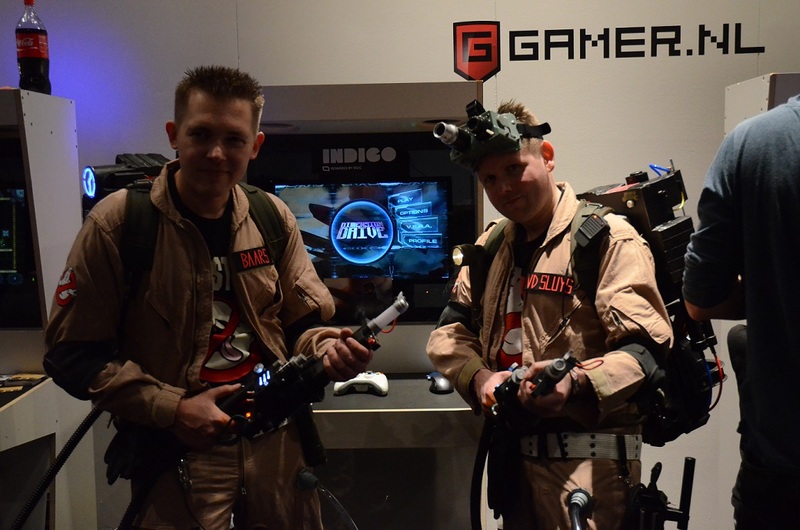 As you know we had the pleasure to participate to the Gamecrimes podcast. After the podcast we did a written interview where we discussed more in detail all the topics regarding Dimension Drive. For example, did you know that we started doing Dimension Drive just because I had been replaying the old Tyrian one afternoon? 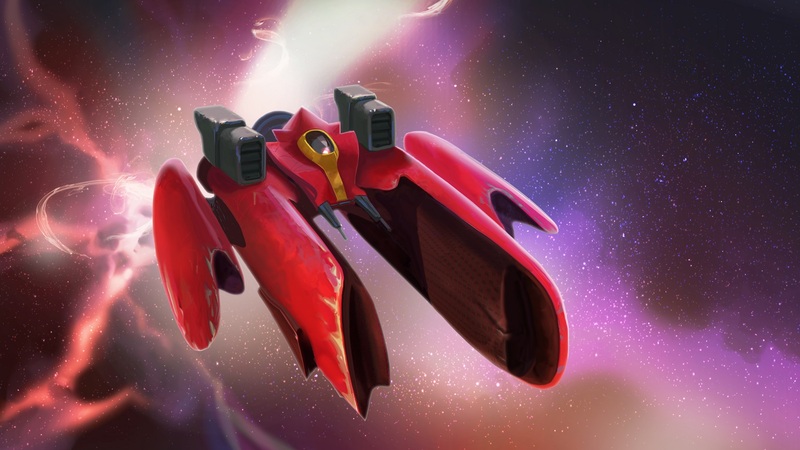 Or that the teleportation mechanic is heavily inspired by us being crazy fans of Battlestar Galactica? 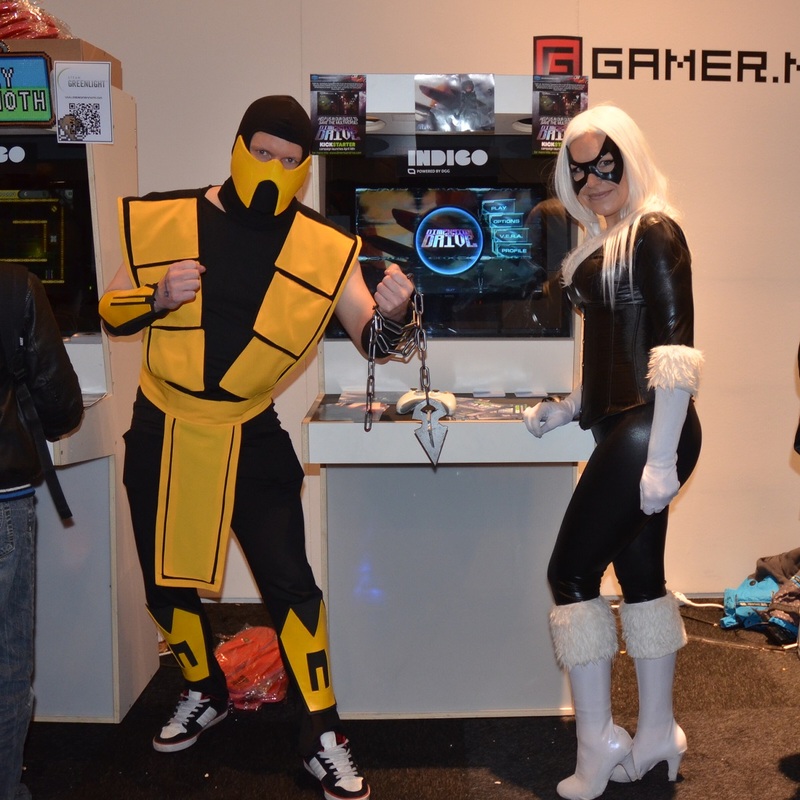 During the Dutch Comic Con the guys at Gamer.nl were doing a podcast with several indie developers and we had the pleasure to participate to it (jump to minute 29:06 in the video to go directly to our part). Hey folks, we had an amazing time showcasing Dimension Drive at Dutch Comic Con in preparation for our Kickstarter campaign launch on the 14th of April. The audience played the new build of the game non-stop during the weekend. 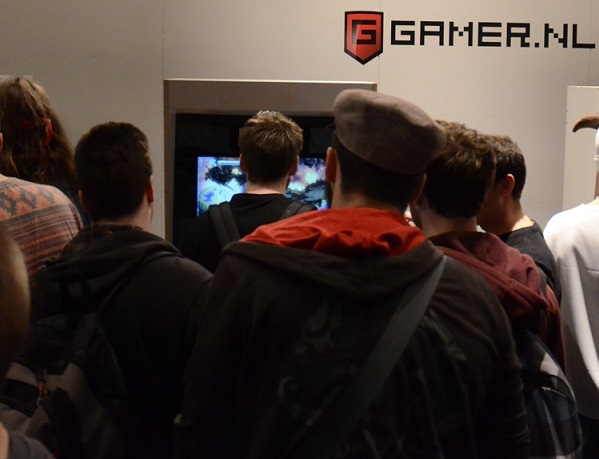 Look, people queuing to play the game! We got some really nice feedback. 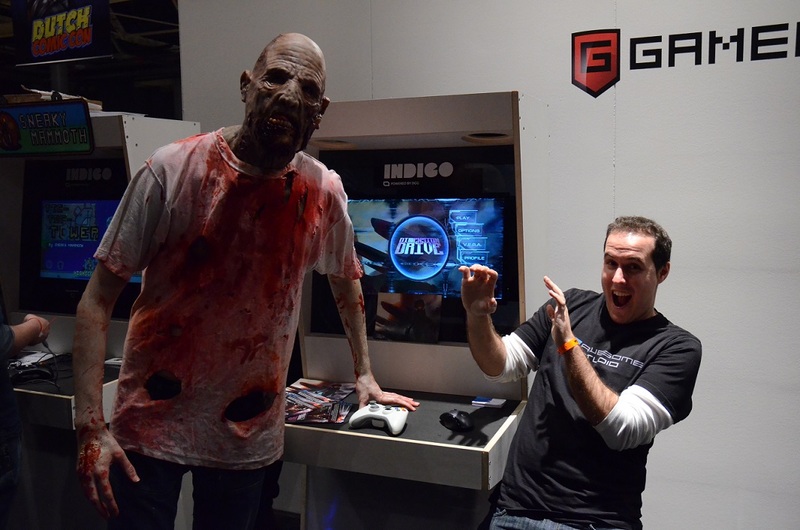 We also managed to get some friends in awesome outfits taking pictures with the game. 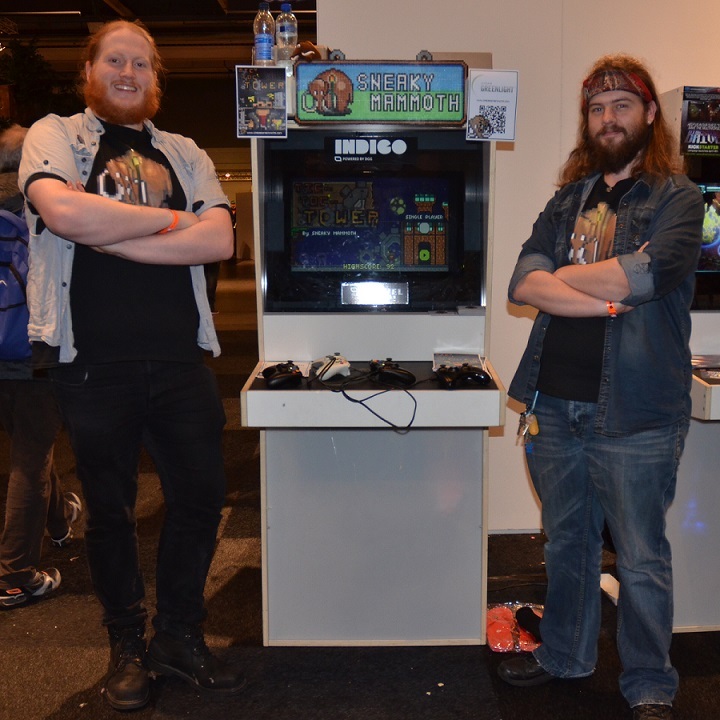 And we had a great time with with our neighbors from Sneaky Mammoth who were showcasing their game Tic-Toc-Tower. “Tic-Toc-Tower is a Platform game set in a mysterious and ever-changing tower where you will never know what to expect next. You have to be quick! You only have 10 seconds to complete each challenge!” If that sounds cool you should really try it and you’ll see that it actually fails short to describe how crazy fun their game is. Go check it out on Steam and vote for it! 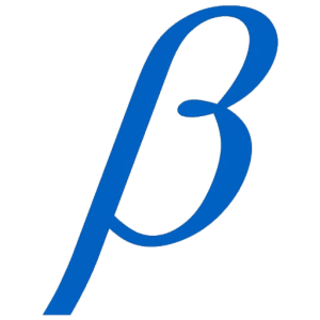 Hey folks, tonight at 8PM CET (7PM GMT) we’ll be live at Beta Wave Radio. 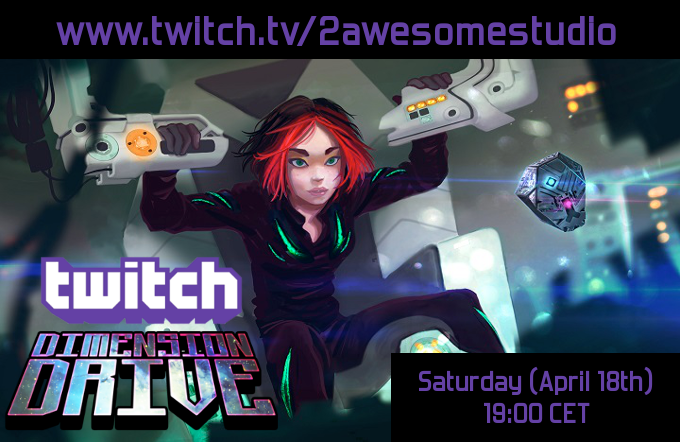 Tune in if you want to hear some more about Dimension Drive!